Founded by Linda Kohanov, author of The Tao of Equus and Riding Between the Worlds, and Kathleen Barry Ingram, MA. The mission of this site, created by Susan M Taylor, is to provide information and resources to psychotherapists and counselors who are interested in embarking upon the work of Equine Facilitated Psychotherapy. Differing opinions, styles, theories and techniques will be included along with information on how to access organizations and people already doing the work. Founder and Epona Approved Instructor Angela Dunning offers EFL workshops and individual sessions in the beautiful county of Shropshire, England. 2009 HEAL Facilitator Training Program graduate Emma Simmons (née Dinnage) offers UK based EFL, hands-on healing, distance healing, and an on-line shop. Tucson based life coach consultant, lecturer and educator specializing in assisting individuals in personal/professional growth and EFL. World renowned British horse healer and communicator Margit Coates offers books, DVD’s and training. PATH International (www.pathintl.org) Formerly NARHA/EFMHA, a major professional organization for EFPL with publications, online discussions, conferences, training and more. Ella Bloomfield, Lisanne Peters, Madelaine Cardani, and Mike Delaney offer UK based EFPL and equine care and reflection sessions. An informative article on how EFL and horses help children with Autism. Drea Bowen is a Board Certified Coach-specializing in working with women. She is the founder of the training program R.E.A.L. Principles for Creating Mutual Horse Human Social Bonds and the Heart of the Herd Ranch & Retreat Center Professional EFPL Services Co-op. 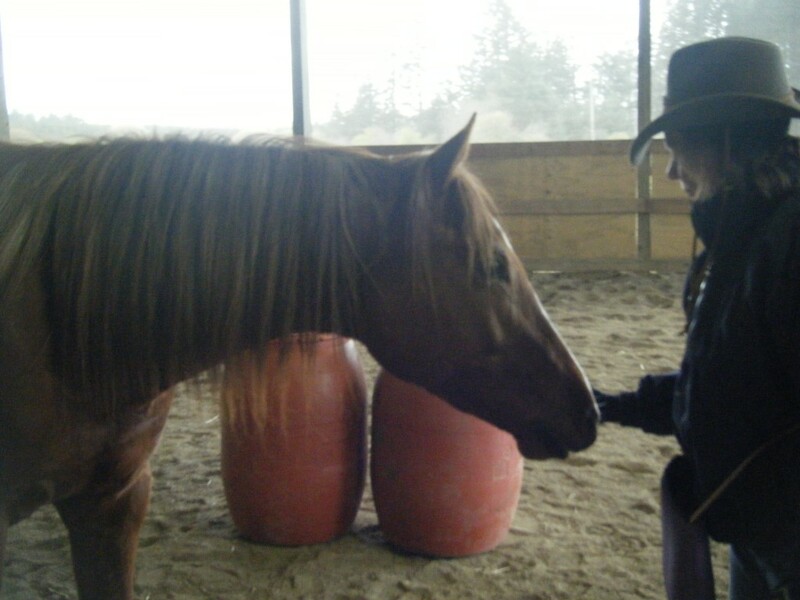 Drea is a life long horsewoman who works out of her ranch in Silverdale, WA with her herd seeing individual clients as well as conducting groups and retreats. She travels around the US and abroad to teach, train and speak. Kristin Fernald is a Licensed Mental Health Counselor in the San Juan Islands in Washington State. She has a private practice serving individuals and couples and leads retreats and group workshops, with a specialty in Energy Psychology. She offers EFPL services with her herd of 3 horses as an adjunct to her psychotherapy practice and teaches EFL workshops nationwide. Human-Equine Alliances for Learning © 2019. All Rights Reserved.